College Student Debt Grows. Is It Worth It? The amount of money Americans owe on student loans recently exceeded the nation's credit card debt. That may lead one to ask: Is it smart to borrow a lot of money to go to college? Student financial aid expert Mark Kantrowitz says college debt is OK — if you're careful. Americans now owe more on student loans than they do on credit card debt. Estimates show students graduating this year with about $27,000 in debt. The amount of money Americans owe on student loans recently exceeded the nation's credit card debt. That may lead many to ask: Is it smart to borrow a lot of money to go to college? 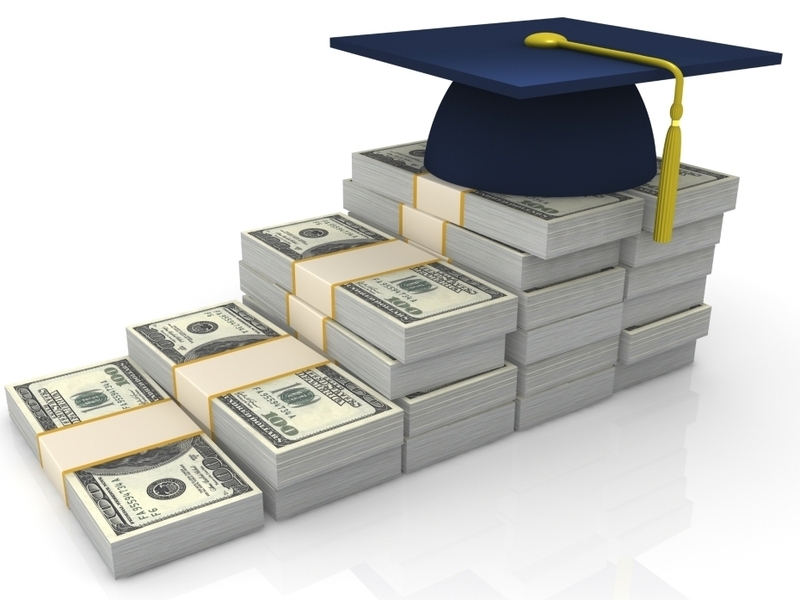 Student financial aid expert Mark Kantrowitz says that college debt is OK — if you're careful. "It's smart if it's enabling you to invest in your future," Kantrowitz tells NPR's Steve Inskeep. "But if you borrow more than your expected starting salary after you graduate, you're going to struggle to pay your loans." As an example, Kantrowitz says if you're going to borrow $10,000 a year for four years, you should hope that the field you've chosen has a starting salary of at least $40,000. If you are going to be borrowing more than that, he suggests looking for a less expensive school. Advice from financial aid expert Mark Kantrowitz. Save before going to college. Apply for federal loans before applying for private loans — they're cheaper. Think hard about your major. If you don't expect your starting salary after graduation to match what you borrowed, consider a less expensive college. Double major in a more lucrative field. Pay interest while you're in school. "I can see someone borrowing perhaps $10,000 a year if they're majoring in science, technology, engineering, mathematics, computer science or nursing," says Kantrowitz, the publisher of the FinAid and Fastweb websites. "But I can't see borrowing that amount of money for a degree in art, or humanities, or sociology, because the jobs just don't pay as well for those fields of study," he says. That might make some people wince — especially those who focused on liberal arts in college. Kantrowitz says it's not that those majors are worthless, but that students have to face the reality of how they're going to pay back the money they've borrowed for their education. So what are the most worthless degrees or, at least, the hardest to monetize later on in life? Kantrowitz says he often hears from religious studies and theater majors who have a hard time paying back their loans. Debt at graduation for bachelor's degree recipients. Data for 2008-11 are projections. Ethnomusicology is another example. Kantrowitz describes one student who was thinking of borrowing more than $100,000 to pay for that degree. "There are only two main occupations for a degree in ethnomusicology," he says. "One is being a music librarian, which doesn't pay very well. The other is being [on the] university faculty, teaching other students about ethnomusicology." Kantrowitz suggests thinking about a double major in a field that will allow you to pay back that debt. "I'd be the last person to tell a student not to follow their dreams," he says. "You just need to enter into it with a dose of reality, so that rather than trying to figure out how you repay your loans after you graduate, you have that conversation before you incur the debt." Kantrowitz, who is also the author of Secrets to Winning a Scholarship, says that to a large extent, debt is unavoidable, and two-thirds of students graduate with some amount of it. Kantrowitz tells students, "Before you spend student loan money on anything, ask yourself if you would still pay for it at twice the price. Because by the time you've paid back that student loan, it's probably going to cost you about $2 for every dollar you've borrowed." And that money adds up to a tidy sum: For students graduating this year, Kantrowitz estimates that their debt will be about $27,000. And if you throw parents' loans into the mix, he says, the average is going to be more like $34,000.